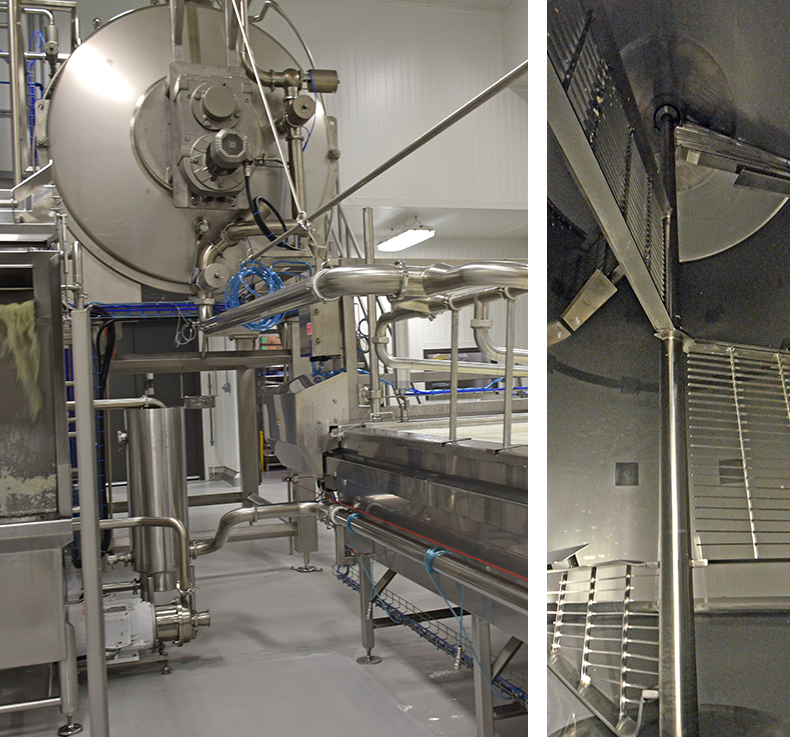 Over the years, the increasing popularity of our cheeses required that we modernize our cheese factory. It is vital for us to pass on our traditional craft with the help of modern technology. The cheese factory is supplied with milk from local dairy farms. We use 100% whole milk exclusively. A blue cheese with a slightly creamy texture. 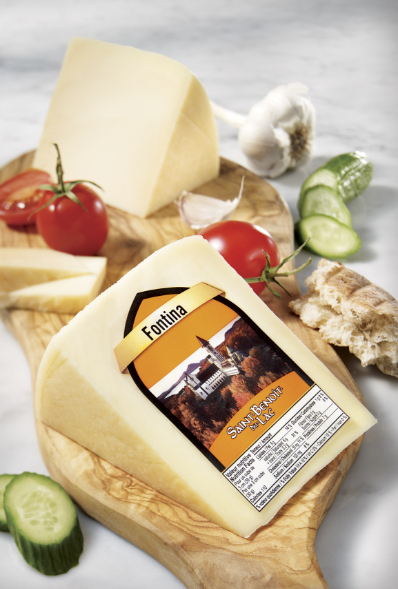 Rediscover the P. Roqueforti flavour so typical of this type of cheese. A blue cheese aged for one year in our ripening rooms. Features a creamy, crumbly texture. 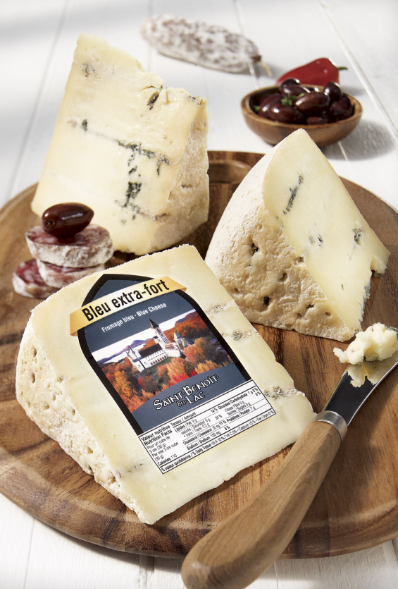 Made using blue cheeses specially selected from our cellars. 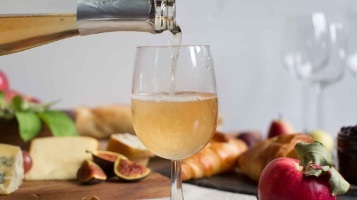 The natural wood smoke yields a slightly woody taste that goes very well with the P. Roqueforti flavour. A blue cheese with a natural rind. Notes of woodland mushrooms, with a pinch of salt. 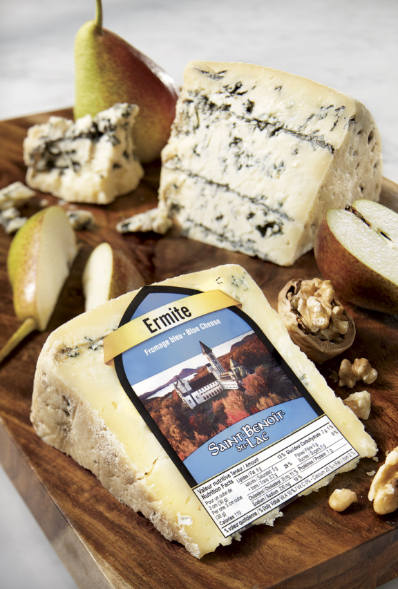 A product dating back to 1943 – the inception of our cheesemaking. A firm cheese, interior-ripened for more than 3 months. 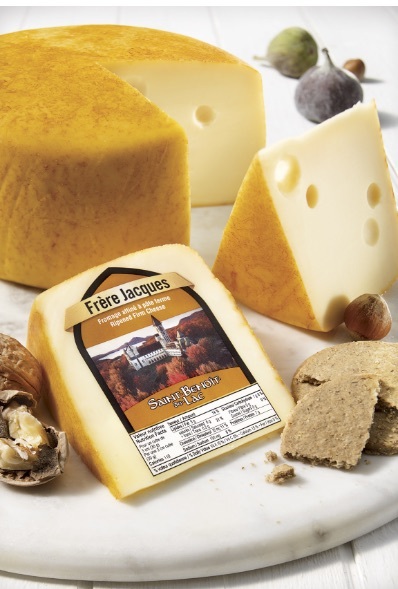 Its soft, slightly creamy texture brings out a delicate hazelnut flavour with a touch of melted butter. 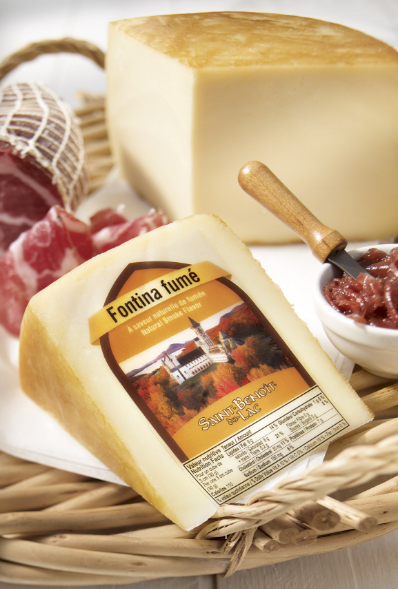 A firm cheese matured for 23 months, its soft, slightly creamy texture brings out its delicate flavour. The natural wood smoke creates a honey-coloured rind. 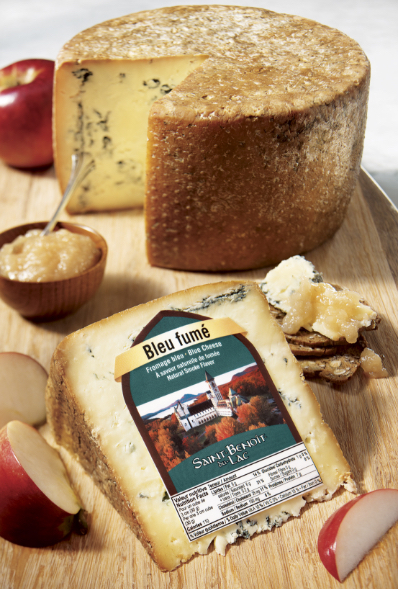 A surprising, flavourful cheese for you to discover! 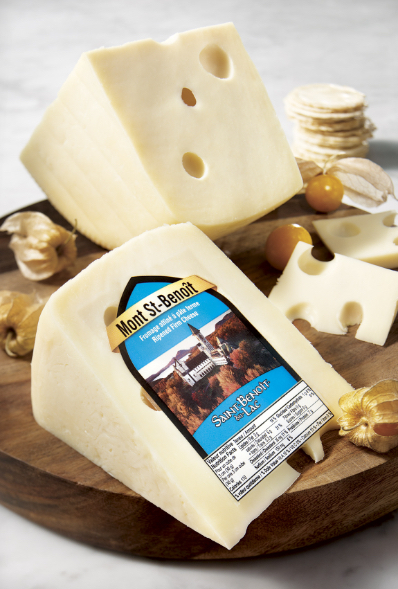 A firm cheese with an orange-yellow rind and more pronounced hazelnut taste than our Mont Saint-BenoÎt. 2nd Prize – British Empire Cheese Show, 2015 and 2017. A firm unripened cheese made from pasteurized milk. Each piece is cream-coloured, with a tasty “fresh-milk-and-salted-butter” flavour. Hear the squeak when you bite into a curd, with its distinctive, highly sought-out texture. 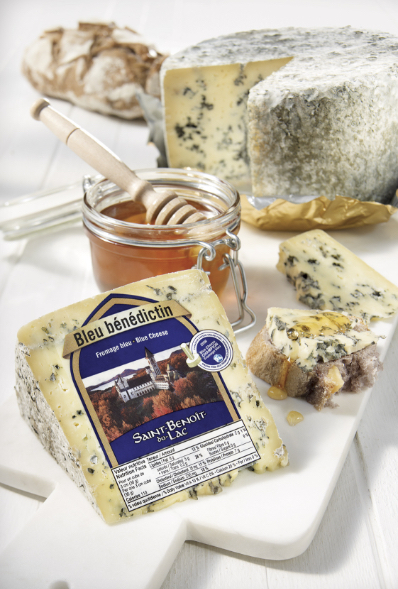 A firm cheese ripened over a longer period to develop its typical -and much enjoyed- toasted almond and melted butter flavour. A firm cheese made from goat’s milk. 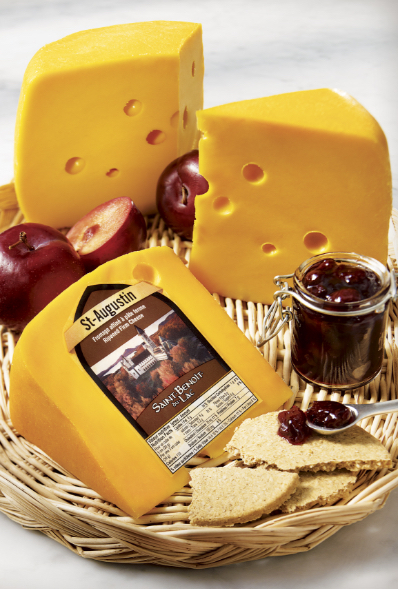 This Swiss-type cheese has a delicate taste, with slightly fruity and sweet flavours that set it apart. A firm, very mild cheese with a hazelnut flavour. Similar to Swiss-type cheese with large holes (“eyes”). A firm Swiss-type cheese. A ripening process of more than 60 days gives this product character. Delicious in a toasted sandwich! 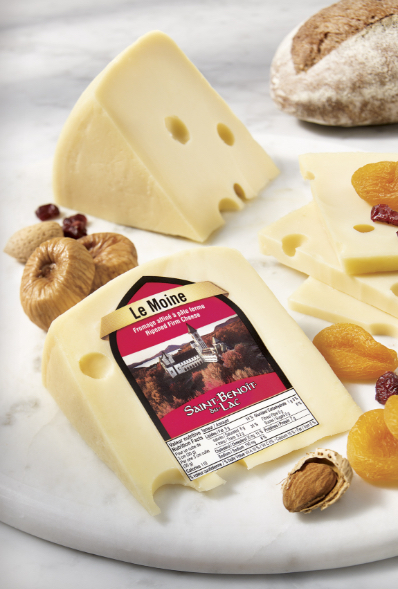 All our cheeses are gluten-free and nut-free. 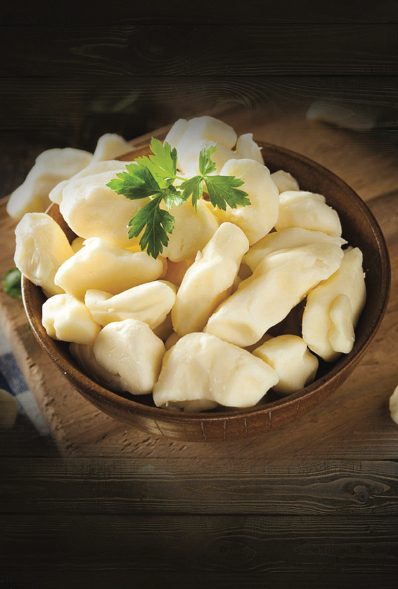 Only our blue cheeses and cheese curds contain lactose. 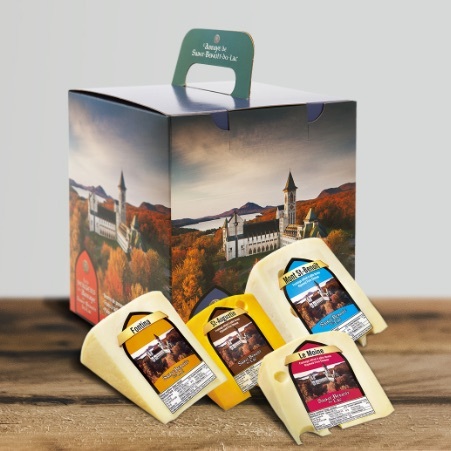 Our gift boxes contain several of our famous cheeses. They are available in different formats at the Boutique, and are the perfect solution for your fundraising campaigns or corporate gifts. During cheese-making, farm milk with no modified milk additives (lactoserum powder, etc.) is pasteurized to destroy all pathogenic bacteria it might contain. This technique consists of heating the milk to 72°C for 15 seconds. 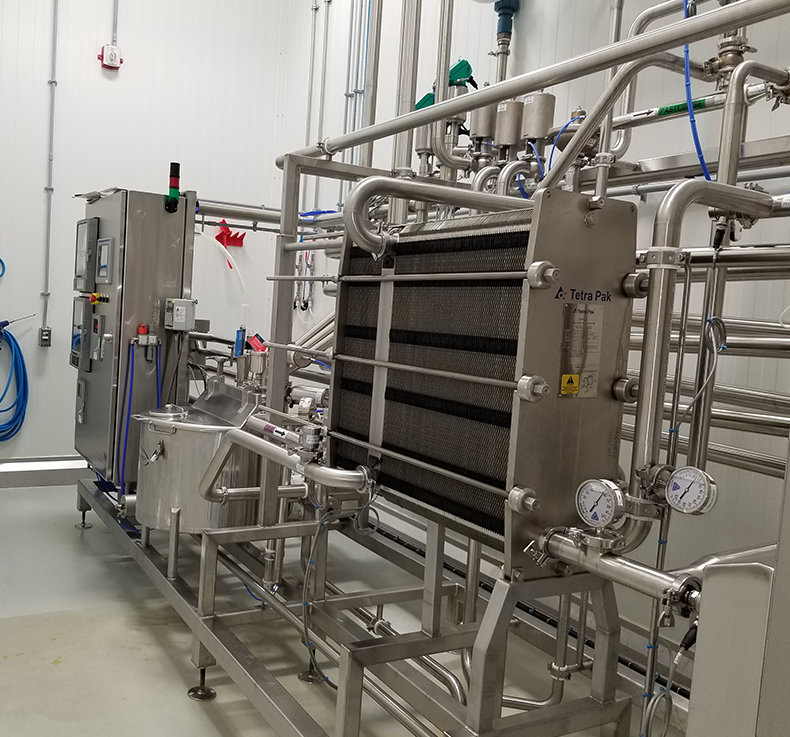 Pasteurized milk is transferred to a large cylindrical tub called the curdling tub, where we add different ferments and the rennet. The rennet causes the milk to transition from the liquid phase to the solid phase. 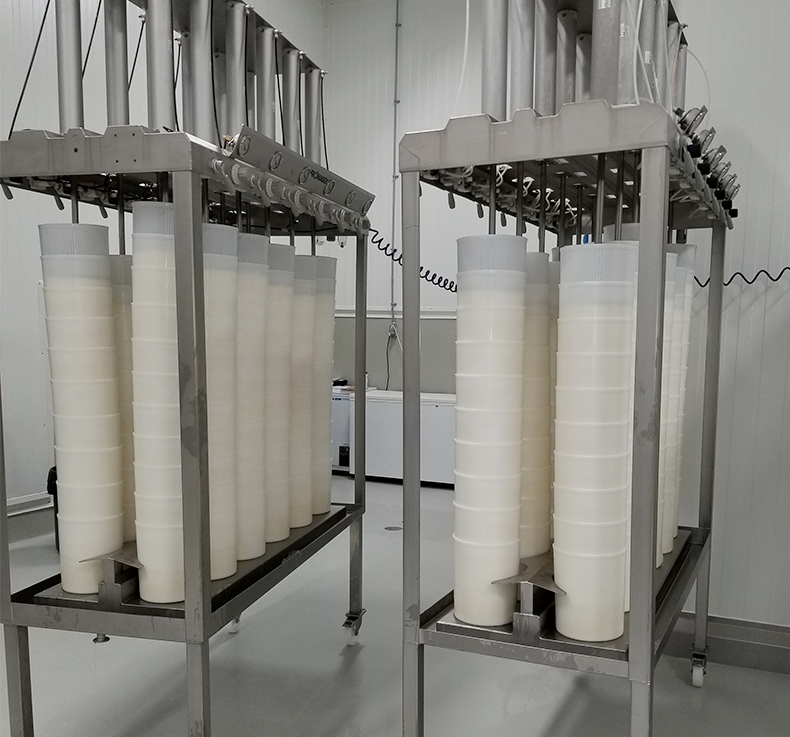 Large cutters break the substrate into small pieces which are then allowed to settle to the bottom of the tub in order to remove the lactoserum which contains lactose. Lactose is a sugar which must not be allowed remain in Swiss-type cheeses in order to avoid fermentation after manufacture. 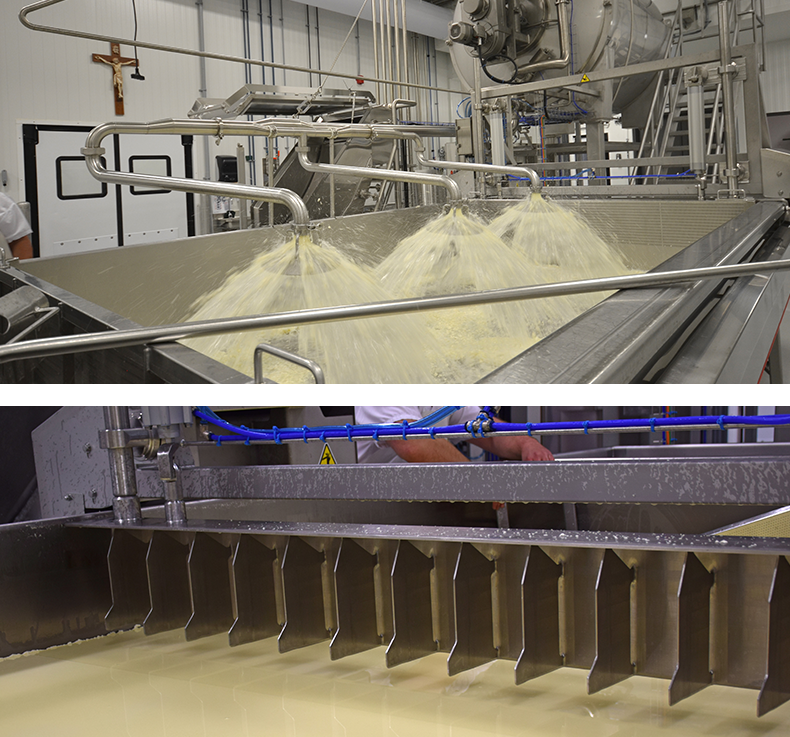 The curds are then transferred to a large basin, known as the pre-pressing table, where it is pressed to agglomerate the mass. 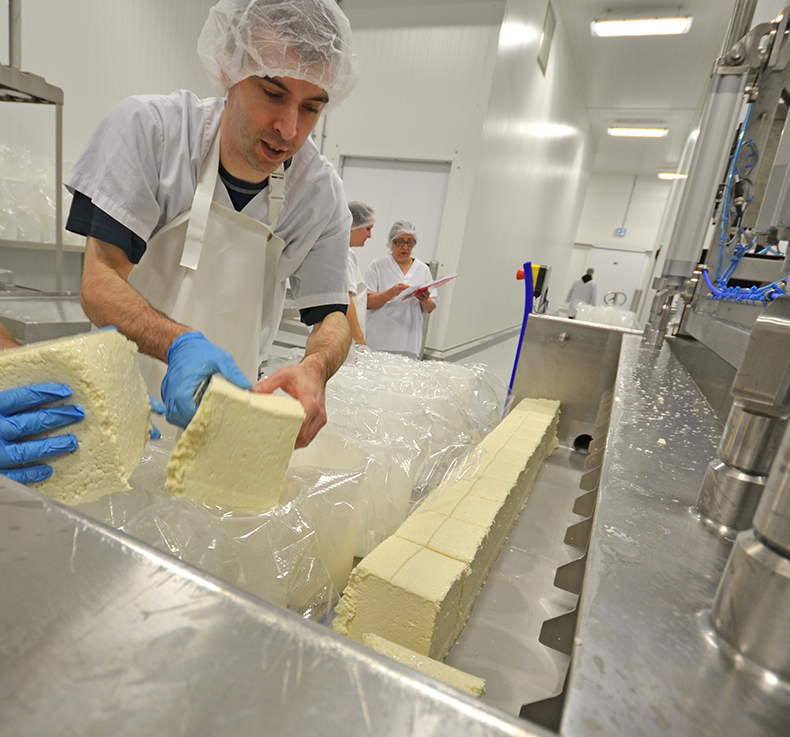 Once the cheese is pressed, it is cut into cubes approximately 3 kg each, which are placed into moulds. 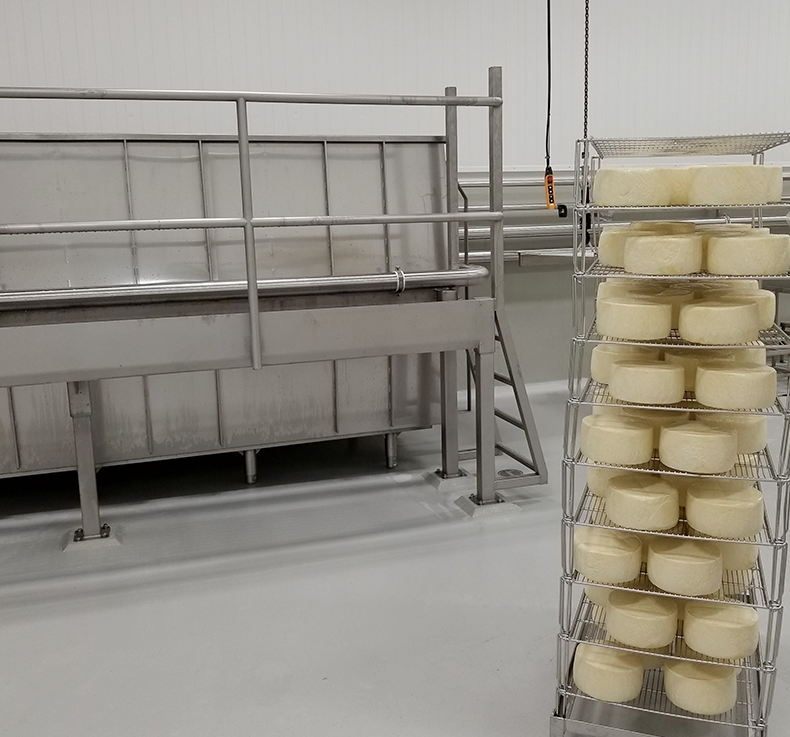 The moulds containing the cheese cubes are then placed under presses for about 2 hours, at different pressure levels. After brining, the wheels need to be dried. 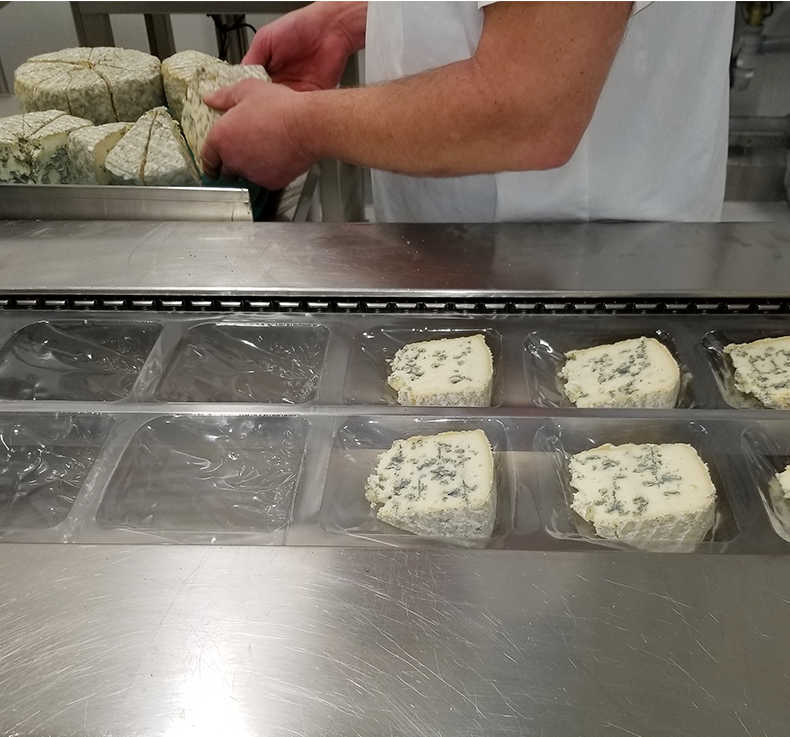 After this step, all our cheeses except for blue cheeses are vacuum-packed for ripening in the ripening room. These rooms are kept warm and dry for Swiss-type cheeses, and damp and cold for blue cheeses. 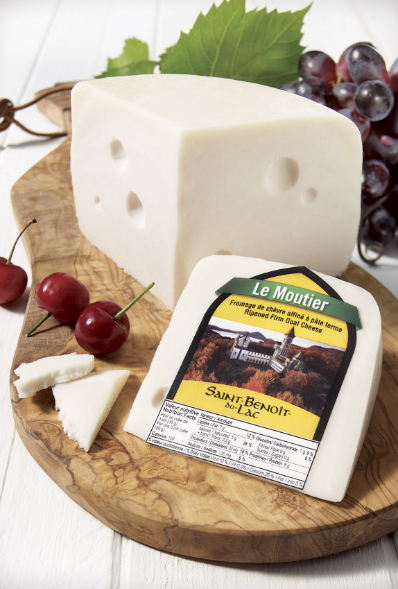 Ripening time varies from 15 days (Mont Saint-Benoît) to 6 months (Le Moine), depending on the cheese type. 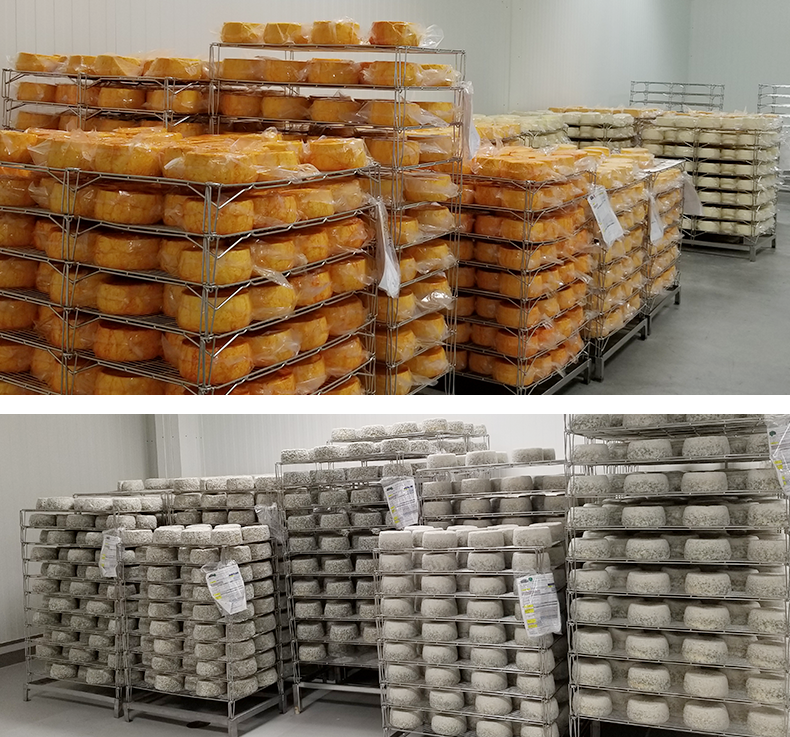 Once ripening is over, the cheese wheels are cut into wedges and packaged for retail sale. Our apples are used to produce hard cider, apple sauce and apple butter. 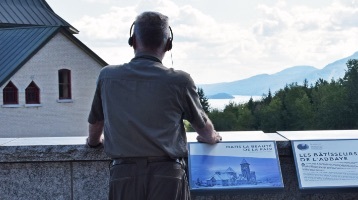 The Abbey is located in the beautiful Lake Memphrémagog region. We offer visitors the opportunity to take a guided tour of the monastery. 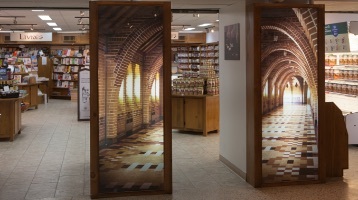 Visitors can find a large selection of products crafted by our community (cheeses, fruit compotes and spreads, ciders), books, CDs and religious objects in our shop.